Keeping young children safe and healthy is the constant and primary requirement of all adult caretakers. This course has been developed for individuals who work with parents and families of young children from birth through five years of age. Each stage of development contains unique challenges and areas of concern that must be addressed in order to optimize wellbeing. 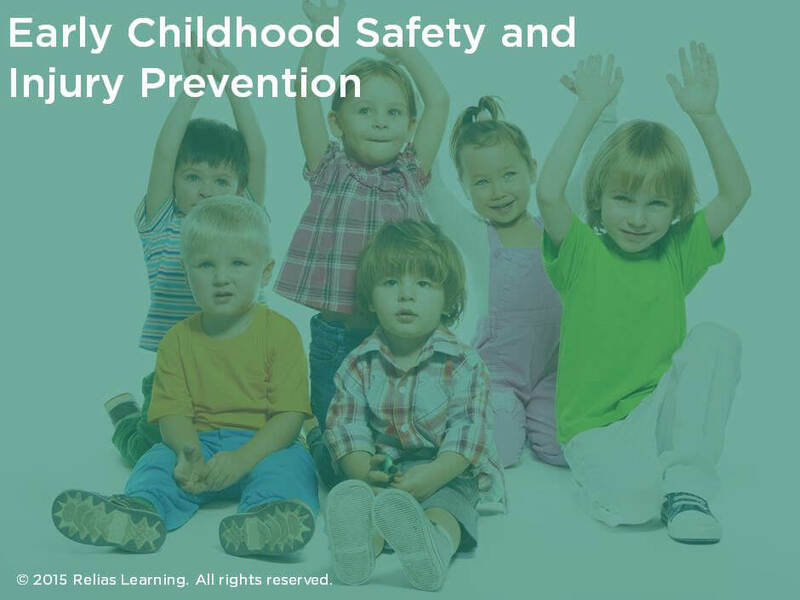 In this course, you will learn about how to secure environments to maximize safety and how to safely transport children. You will explore common hazards, including poisons, animals, venomous plants, and other common home risks. We will review familiar problems, such as managing storage and securing electrical outlets. You will learn about the national recommendations for playgrounds and pool safety. Lastly, you will learn about food safety, sanitation and cleaning considerations, and transportation concerns for young children to ensure a comprehensive plan for the families that you serve. Identify injury risks related to early childhood. Employ the best injury prevention measures to create a safe caregiving environment for early childhood. Describe common health and safety concerns and techniques to manage those risks.